I’ve loved hot rods since the first time I saw Milner’s 32 Coupe on American Graffiti. There are a ton of great forums to meet car folks... and there's Facebook where everyone shares everything, especially pictures, but how about focusing on the rides? That's what I hope MyRideisMe.com will be! If we're friends cause we both like hot rods, then I may not want to see pictures of what you had for dinner last night. Or your daughter's high school graduation, and I definitely don't want to hear about your political views. MyRideisMe will fabricate a worldwide community where members meet, become friends & share their ideas & passion for their rides in a personalized & entertaining website. We all love to talk about our rides, so this should be fun! First off, I'm a car guy, not a web guy... I think you'll see that here. 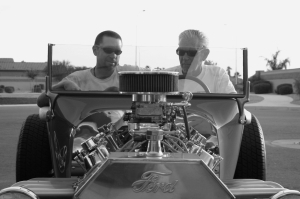 My Pops (Pops' Garage) is a hot rodder, was a drag racer, and worked as a Ford mechanic for over 25 years. I started customizing my BMX bike along side pops and I was hooked. I have a degree in mechanical engineering from Arizona State University, but oddly enough, the things I learned from Pops helped me the most in getting the 7 jobs I’ve had. My current job is at Nissan as a durability/reliability engineer. At home I’m a basketball coach to my boys and a wanna-be fabricator working on my car projects and this website when my wife & kids are sleeping. Without ever having changed a car's oil, I decided to buy a classic. Falling in love with the first car I went to see, I was soon the proud owner of my 1955 Studebaker. To me it was always more than just wanting to look cute driving an old car, it was about the journey with it... which includes grease under your nails! Anyone who's ever had an old car knows, you're in for quite a journey! Whether its a weekend at home fixing something (and inevitably learning something,) visiting someone's shop for a lesson,tearing up the streets with my car club the Gasoline Girls, or attending a racing event or car show...there's always excitement around the next turn. And why keep all the fun to myself? I love sharing what I'm learning and the adventures I'm having - in hopes that more beginners, young people, and ladies will take up a wrench and follow along in the hobby (or is it way of life) that we're all in love with. You ask me what peaked my interest in photography? What got me started? Why it has been a insane passion of mine for almost 3 decades? It's actually quite simple: Being able to stop time in it's tracks. To take that one moment in time and call it mine... forever. To bring back the past when it has been forgotten by many. I starting off shooting with film and finding my eye with obscure angles and random shots at punk clubs and lowrider shows. I quickly moved on to becoming a lens junkie and created a habit of shooting all types of lens. 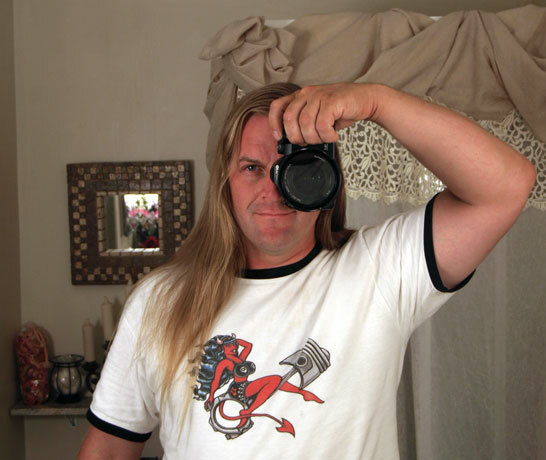 After a 4 to 5 year hiatus in the late 90's to early 2000's I decided to pick up the camera again and go digital. Staying true to myself and the Nikon family, I chose the Nikon D80 and still shoot with it today. Shooting the Custom Culture scene is a constant reminder of where my photo roots started. My love for automobiles dates back to when I was a kid collecting hotwheels, and had car posters, magazine, and CarToons clippings all over my walls. I also enjoyed building model cars, trucks, vans, and motorcycles (and every now and then I still do). I even enjoyed drawing them and my favorite thing to draw were vans because I could add some pretty cool scenes on them. I even did a few tricked out motorhomes, man what I would give to have all my old drawings again. 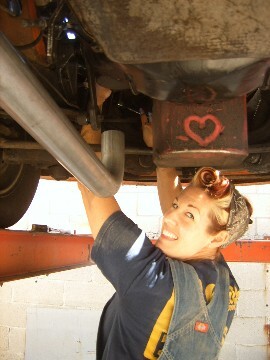 Also my stepfather was a transmission mechanic. So I pretty much grew up around the shop and grease. I consider myself a Experimental Photographer, I love to shoot what I find interesting and not just one thing or subject. Born in northern Cali (1968) and raised in Anchorage, Alaska and now residing in Scottsdale, Arizona. I am a residential solar system designer, electrician specializing in lighting controls and automation. I bought a Olympus C8080 WZ the Summer of 2005 and in Summer 2007 I got the E510 and in the spring of 08 I went to the E-3. A little history on Hechtspeed. Hot rodding's in the blood. My dad and his bro, my bro and my cousin are into cars. My childhood was filled with building plastic models, racing an RC10T truck and then helping my dad do a semi-resto on his '75 Porsche 914. In high school I was into aircooled v-dubs. My first car was a '72 standard Beetle that was given the Cal Look treatment. Then I was into Mustangs as my dad picked up a '94 GT that he modified until it dipped into the 12's with a stock block, ported heads and slicks (to name a few of the mods). While still in college and just after getting married, I picked up a Super Street Magazine. I was amazed at the cover car, a 12 second turbocharged Acura Integra that could brake, handle the take the twisties all while knocking down 30 mpg with a 4 cylinder. I had no idea little Japanese cars could be made to do that. I picked up a '95 Civic EX and did some bolt-ons like lowering springs and adjustable KYBs, intake, shifter, and turbo muffler and shorty headers. I got it to run a 14.8 @ Famoso. It started to burn serious oil and didn't have a working a/c, so I sold that off and picked up this handicapped Civic 4 door I currently drive. I should also mention that I live in Salt Lake City, Utah which heavily contributes to my, "Salt Fever". 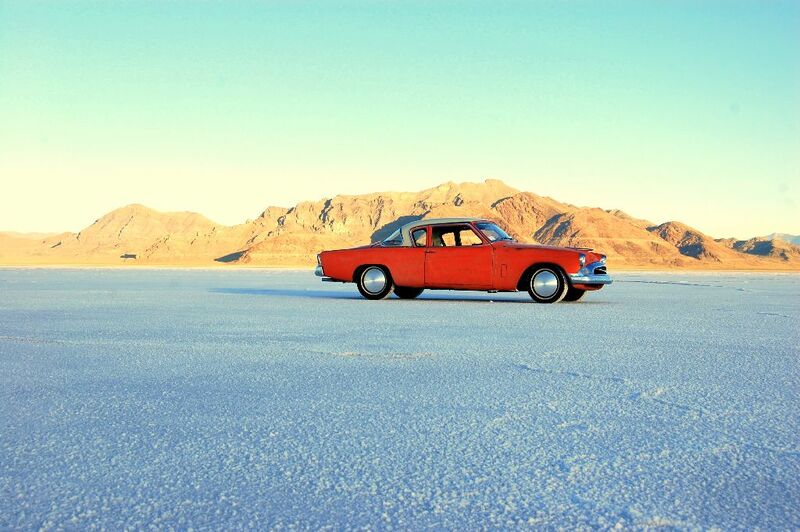 Bonneville's only a short drive away, so look for salt flat racing pictures whenever there's and event. 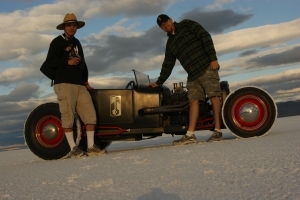 That's me on the left with Pikesan at Speed Week 2009. I'm really enjoying contributing here at MyRideisMe.com. I feel blessed to have the chance to be a part of this hobby I'm so passionate about. I'm excited to see where the website will go in the future. Sky's the limit! I hope to bring interesting stories and pictures to the site. 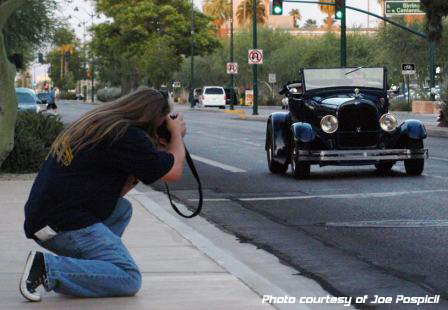 I am getting very interested in the history behind hot rodding and the many people who make up the hobby today. Who knows where custom cars will be like in the future? Where ever it goes, I'll be right there learning and following the trends. Chris is off on his next adventure, taking the Motorcycle portion of MyRideisMe.com and porting it to a brand new site called Teknikka.com. I thank Chris for his guidance and steady hand and steady head when we first started MyRideisMe.com. We'll continue to be friends and co-supporters for all our business adventures. Thanks Chris! So now, I'm on my own. Let's see where we can take this!